With a list of comparisons that seem to be drawn out of a hat, it�s hard to imagine what White Whale really sounds like. Horrible puns aside, the short answer is: not bad. 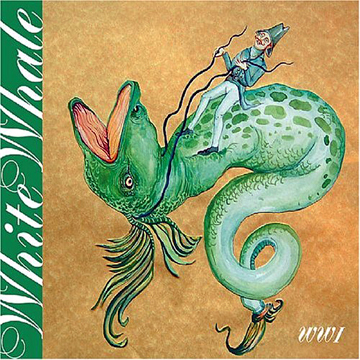 Unbelievably, White Whale makes good on its inventory of influences, sounding a little like every band mentioned (sans Black Sabbath) plus a few others, including Love, Roxy Music, Pink Floyd, and Belle and Sebastian. The downside of this broad range is that the album ends up unfocused, almost as if it were recorded on a bar bet. I bet you can�t make a record that sounds like the Decemberists and Pink Floyd. Though White Whale may break through someday, WWI will not be the band�s golden ticket, nor does it deserve to be. The individual songs are never more than interesting, and the album as a whole, while multicolored, never rises above pastiche.